In addition to providing a tremendous amount of information on patio pavers, driveway pavers, walkway and sidewalk pavers, here is a list of licensed paving stone contractors in your state. They are listed alphabetically by city. Or you can use our zip code locator. Counties Served: Greater Palm Desert and surrounding areas. Company Expertise: Pavers, Retaining Walls, Landscaping and Hardscaping. Clean Your Pavers specializes in providing high quality paver maintenance, cleaning, and sealing services to Commercial and Residential clients throughout the state of California, Nevada and Arizona. Clean Your Pavers takes a meticulous and scientific approach to paver maintenance and restoration through ongoing education, commitment to product knowledge and the use of certified, experienced technicians of our products and services. Counties Served: Greater Alamo and surrounding areas. Company Expertise: Landscape & Hardscape Installations. Counties Served: Greater Aliso Viejo and surrounding areas. Counties Served: Greater Alta Delta and surrounding areas. Counties Served: Greater Alta Loma and surrounding areas. Company Expertise: Landscape and Hardscape Installations. Counties Served: Greater Altadena and surrounding areas. We are a small but efficient company primarily installing new landscapeand irrigation for commercial,and industrial projects. We are a minority owned business certified with the city of Los Angeles. We have a bond ratingof 3%,and work aggresively at completing all jobs within specified time constraints. Worker safety is a high priority and the flexibilty of our work force allows us the ability to know, understand, and compete in the landscape industry. Counties Served: Greater Alviso and surrounding areas. Counties Served: Greater Anaheim and surrounding areas. Company Expertise: Pavers and Retaining Walls design and Installation.We also specialize in outdoor lighting,and gardening. Vigil Pavers specializes in designing and installing Pavers and Retaining Walls for all hardscaping applications, from driveways, patios, pool decks, walkways and steps to outdoor living spaces. Counties Served: Greater Aptos and surrounding areas. Counties Served: Greater Atascadero and surrounding areas. Custom Works Landscape provides professional design, installation, and maintenance of all phases of landscaping, irrigation, lighting, pavers, walls, ponds, waterfalls, fountains, and outdoor fireplaces and kitchens. Custom Works Landscape is at the forefront of paving stone installation. We enjoy what we do, are constantly striving for excellence and warranty our work from the ground up. We believe that as people become aware of the superiority of a segmental pavement and that as we continue to require our customer's overwhelming approval of our installations. Custom Works Landscape will continue to be a dynamic leader in an expanding industry. Counties Served: Greater Bay Point and surrounding areas. Counties Served: Greater Beuna Park and surrounding areas. Counties Served: Greater Bonsall and surrounding areas. Counties Served: Greater Brea and surroudning areas. Counties Served: Greater Brentwood and surrounding areas. Counties Served: Greater Buena Park and surrounding areas. Company Expertise: Pavers, Retaining Walls, Lnadscaping and Hardscaping. Company Expertise: We specialize in asphalt paving, curbing, gutters, repairs and seal coating. ASAP Paving has been installing asphalt paving throughout Orange County and Southern California since 1979. Quality products and first rate customer service are the hallmarks of our business. Company Expertise: Pavers, Retaining Walls, Hardscaping and Landscaping. Counties Served: Greater Burlingame and surrounding areas. Counties Served: Greater Calabasas and surrounding areas. Counties Served: Greater Camarillo and surrounding areas. Type of business: Landscape and Hardscape Installations. At Rainbow Landscape and Pools we are in the business of transforming your homes outdoor living spaces. When you live in such a place as Southern California you want to maximize the great weather and have that �holiday� feel while you�re at home. The best way to do that is by creating your own custom designed outdoor oasis! Some of the more popular outdoor additions include swimming pools, patios, outdoor kitchens, BBQ�s, fire pits and water features. But the sky is the limit and we will work with your special needs, wants and requirements to give you your dream outdoor space. Counties Served: Greater Campbell and surrounding areas. Superior Paving Systems specialize in interlocking paver sales. Hundreds of local installations. Full service landscaping - from design to installation. Sod irrigation, draiage, retaining walls, BBQ & fire pits, planter installation & A-Z landscaping. Counties Served: Greater Canoga park and surrounding San Fernando area. Counties Served: Greater Canyon Lake and surrounding areas. At Blended Elements, it is our goal to provide you with a wide range of products to suit your every need. Our experienced staff is available to assist you in product selection and can help you with all aspects of your construction project. Whether you are a contractor, architect or homeowner, we are delighted to assist you in every way. We carry only the finest products and offer a wide variety of colors, styles, shapes and sizes. Masonry hardscaping products, landscaping materials, tools, aggregates and cement products are available, all at one location, for your convenience. Counties Served: Greater Carlsbad and surrounding area. Company Expertise: approaching 40 years in the trades installing concrete interlocking pavers. installing concrete interlocking pavers since 1967, we offer a complete landscaping service. locally owned and operated. Counties Served: Greater Sylmar and surrounding areas. Counties Served: With yards in the south bay and east bay.... Bay Area Paving and Landscape can service the entire bay area. Counties Served: Greater Chatsworth and surrounding areas. Counties Served: Greater Chula Vista and surrounding areas. Counties Served: The greater Sacramento area as far north as Yuba City, as far east as Reno and Tahoe, as far southwest as San Jose. Company Expertise: Let our 15 years of experience work for you! Our installers are experienced, hard-working professionals who are committed to your satisfaction. We pride ourselves on our high quality work, our speed of installation, our affordable prices and our unique design skills. Because Baird and Sons Pavers specialize in pavers and retaining walls, we can create things that other companies cannot. From firepits to fountains, we have the experience you need to get a unique job done for a reasonable price. Counties Served: Greater Coachella and surrounding areas. Counties Served: Greater Concord and surrounding areas. Home & Garden Construction Group is at the forefront of paving stone installation; which is a cost-effective way to add curb appeal and beauty to your home. Interlocking pavers are guaranteed not to crack or break and are available in a wide variety of styles and colors. We will work with you to select the best hardscape and landscape options for your home. We do both commercial and residential sidewalks, traffic areas, pool decks, patios, driveways and other outdoor recreational areas. We can also landscape the areas surrounding our installations, and build retaining walls, waterfalls or other custom designs to help you create a totally new look. If you are happy with your present landscape design, we can work within your vision to upgrade and enhance your recreational areas. We can help you design your desired effect from the ground up, or we can work directly from your blueprints. Contour Landscape provides professional design, construction, and maintenance of all phases of landscaping, irrigation, outdoor lighting, masonry and concrete projects. We have been creating custom designed and installed outdoor living areas, water features, outdoor kitchens and patios for many years and with great success! We are ICPI Certified installers of interlocking pavers and segmental retaining walls. We do not subcontract out our projects to lesser contractors but use our own experienced and trained installation technicians. Call for a free consultation. We would be glad to help. Counties Served: Greater Costa Mesa and surrounding areas. Chamley Landscape has been providing top quality landscape maintenance services to some of the finest homes in Southern California for more than 25 years. Our full service approach goes way beyond the "basic gardner". Consistent and constant contact with our customers and their needs assures that your landscaping will be the benchmark of the neighborhood. Counties Served: Greater Cottonwood and surrounding areas. Counties Served: Greater Culver City and surrounding areas. CastleLite Block, LLC is the leading manufacturing and installation source of Concrete Pavers, Concrete Masonry Units and Retaining Wall Systems for residential and commercial clients in Northern California. For over 65 years our Diamond Certified business has proudly served the Greater San Francisco Bay Area and Sacramento. Counties Served: Greater Downey and surrounding areas. Counties Served: Greater El Cajon and surrounding areas. Counties Served: Greater Northern California and surrounding areas. Counties Served: Greater Encinitas and surrounding areas. Counties Served: Serving Fallbrook and surrounding areas. Company Expertise: Installation of Hardscapes and Landscaping. Counties Served: Government, Commercial and Custom Home builders throughout southern and central California. Company Expertise: Environmentally sound and beautiful paving systems utilizing state art technologies for paving needs. Permeable pavement and walkway solutions is our specialty. Serving all of Southern California. Concrete, stone and rubber pavement installers servicing commercial, institution, government and the homeowner. Hundreds of satisfied customers testify to the quality and value that Claddagh Paving offers it's valued clients. Our individualized service is designed to bring you the best outcome for the least amount of cost and inconvenience. Our work is guaranteed! Counties Served: Greater Fontana and surrounding areas. Counties Served: Serving Fresno and surrounding areas. Counties Served: Greater Glendale and surrounding areas. Counties Served: Greater Glendora CA and surrounding Counties. Company Expertise: Design & Installation of Pavers & Retaining Walls. Design & Installation of Pavers & Retaining Walls. Counties Served: Greater Harbor City and surrounding areas. Southern California Landscape Construction (SCLC) has installed and maintained successful landscapes throughout California dating back to 1979. Our present work takes on state of the art technology related to design and installation. SCLC is on the forefront of ecological friendly landscapes which includes water conservation, and we believe in utilizing sustainable resources where possible. Counties Served: Greater Hawaiian Gardens and surrounding areas. Counties Served: Greater Hayward and surrounding areas. Now you can have true confidence in creating your own Outdoor Living Paradise by using a local company with over 25 years of experience. 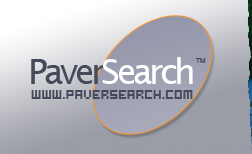 Paver Pro is the Bay Area's premier installer of inter- locking paving stones and exquisite landscapes. Paver Pro will provide you with the impeccable service and craftsmanship you deserve.We are proud to help our clients achieve built in quality with lasting equity. Paver Pro is committed to providing superior products, timely installation and excep- tional service to each individual customer. Counties Served: Greater Hercules and surrounding areas. Counties Served: Greater Hollister and surrounding areas. Counties Served: Greater Indio and surrounding areas. Counties Served: Lake Irvine and surrounding areas. Company Expertise: Professional Landscape and Hardscape Contractor. Counties Served: Greater La Crescenta and surrounding areas. Counties Served: Los Angeles, Ventura County, Santa Barbara, Orange County, Oxnard County, Inland Empire, South Bay, San Fernando Valley. Company Expertise: Paver Design, Paver Installation, Patios, Pool Decks, Retaining Walls, Pool Decks, Masonry, Water Features, Waterfalls. LC Landscape is a leader in quality hardscaping and paving Contractor with years of experience and thousands of quality installations throughout Southern California. we also provide free design and project consultation for any serious homeowner. Counties Served: Greater La Mirada and surrounding areas. Counties Served: Greater La Quinta and surrounding areas. Counties Served: Greater Lafayette and surrounding areas. Counties Served: Greater Laguna Woods and surrounding areas. Counties Served: Greater Lake Elsinore and surrounding areas. Counties Served: Greater Lake Forest and surrounding areas. X-TERIOR COMFORTS is a licensed contracting company undertsking construction management projects in interlocking paver installation as well as concrete work (installation, repair and resurfacing). we are based in southern california serving both the los angeles and orange counties. we have a big portfolio in both pavers and concrete work. Counties Served: Greater Livermore and surrounding areas. If you like the look of healthy grass, but don't have the time or energy for the maintenance and upkeep that natural grass requires, artificial grass may be exactly what you're looking for. Just imagine - no more expensive water bills or time spent mowing your lawn! With us, you'll get grass that looks natural, perfect, and requires little to no maintenance. Forever Putting Greens offers installation of artificial grass, putting greens, bocce ball courts, hardscapes, pavers, retaining walls, and even dog runs. No project is too big or too small for our professional and courteous team of installers. Counties Served: Greater Lodi and surrounding areas. Yard & Garden started with humble beginnings, 2 men 1 truck and a dream. Now that dream has grown into over 75 employees and a reputation second to none. It is still a family owned and operated business with the same philosophy we started with hard work, dedication and putting our customers first. Without you the dream fails to see the light of day. So give us a call or email us and let us know what your dreams are and how we can help and how we can make you part of the Yard & Garden family. Counties Served: Greater Lomita and surrounding areas. Counties Served: Sacramento, Yolo, Placer. Company Expertise: 20 years of experience installing, concrete pavers, brick pavers, travertine, flagstone, lighting, walls, overlay, pool decks and coping. Interlocking pavers, Pool decks, Coping, Overlay, Patios, Stairways, Planter boxes, Variety of Walls, Enhancement lighting for hardscape. Counties Served: Greater Loomis and surrounding areas. With over a 20 year history of unsurpassed quality and service, Barry Abshear Landscape Development, Inc. has emerged as a trendsetter in the local landscape industry and is renowned as one of the most dependable landscaping companies in the Sacramento area. Counties Served: Greater Los Angeles and surrounding areas. It is our goal to provide you with the utmost professional and the highest quality construction services, moving your project from concept to completion in a timely manner. Our hands-on, unique approach applies to all aspects of every project, while collaborating with our clients throughout the process ensures their peace of mind. We offer innovative services that incorporate "green" building concepts whenever possible. We excel at going above and beyond the call, offering all of the finishing touches, right down to the landscaping. At LA Pavers we specialize in many types of masonry services including stone pavers, brick, block, retaining walls, outdoor kitchens, fire pits, cultured stone, grading and sealing. We offer competitive prices and guarantee our quality services. Counties Served: Greater Los Gatos and surrounding areas. Counties Served: Greater Madera and surrounding areas. Counties Served: Greater Marina and surrounding areas. Counties Served: Serving Mill Valley and surrounding areas. Counties Served: Greater Mission Hills and surrounding areas. Counties Served: Greater Mission Viejo and surrounding areas. Counties Served: Greater Modesto and surrounding areas. STOWE provides professional design, installation, and maintenance of all phases of landscaping, irrigation, lighting, pavers, walls, ponds, waterfalls, fountains, and outdoor fireplaces and kitchens. STOWE is at the forefront of paving stone installation. We enjoy what we do, are constantly striving for excellence and warranty our work from the ground up. We would be glad to provide you with a list of projects that you could drive by to determine if a paving stone driveway, walkway or front porch gets you excited. Counties Served: Greater Monrovia and surrounding areas. At Malibu Pavers, it is our goal to provide you with a wide range of products to suit your every need. Our experienced staff is available to assist you in product selection and can help you with all aspects of your construction project including hardscapes, paving stone installation, retaining walls, water features, concrete flatwork and outdoor kitchens. Whether you are a contractor, architect or homeowner, we are delighted to assist you in every way. Counties Served: Greater Moorpark and surrounding areas. Counties Served: Greater Morgan Hill and surrounding areas. C & C Landscape Construction is at the forefront of paving stone installation. We enjoy what we do, are constantly striving for excellence and warranty our work from the ground up. We believe that as people become aware of the superiority of a segmental pavement and that as we continue to require our customer's overwhelming approval of our installations, C & C Landscape Construction will continue to be a dynamic leader in an expanding industry. Company Expertise: ICPI certified. We specialize in interlocking brick pavers and custom designing. We create beautifull patios, walkways, stairsways, driveways and much more. Counties Served: Greater Murrietta and surrounding areas. Counties Served: Greater Newcastle and surrounding areas. Counties Served: Greater Newport Beach and surrounding areas. It is with great pleasure to welcome you to Alder Landscape Service, Inc. We are a premier landscape installation and maintenance contractor proudly servicing the Southern California area. Since 1995 Alder Landscape has maintained its commitment to quality, integrity and service. These principles remain an important part of what we do each day and on every project. At Landcrafters Landscape Services, Inc., it is our goal to provide you with a wide range of services to suit your every need. Our experienced staff is available to assist you and can help you with all aspects of maintaining your property. Whether you are a owner or manager, we are delighted to assist you in every way. Counties Served: Greater Nipomo and surrounding areas. Turf-Care provides professional design, installation, and maintenance of all phases of landscaping, irrigation, lighting, pavers, walls, ponds, waterfalls, fountains, and outdoor fireplaces and kitchens. Turf-Care is at the forefront of paving stone installation. We enjoy what we do, are constantly striving for excellence and warranty our work from the ground up. We believe that as people become aware of the superiority of a segmental pavement and that as we continue to require our customer's overwhelming approval of our installations, Turf-Care will continue to be a dynamic leader in an expanding industry. Counties Served: Greater North Hollywood and surrounding areas. Company Expertise: Paving and Hardscaping Installation Company. With over 10 years of service in Southern California Novel Construction and it's subsidiaries has lead the way in design and installation of hundreds paving stone driveways and patios. We have earned the reputation for high quality, outstanding customer service and innovative thinking. So when it comes to pavers, retaining walls, outdoor kitchens and concrete driveways please call us last, you'll be glad you did. Counties Served: Greater Northbridge and surrounding areas. Counties Served: Serving Oceano and surrounding areas. Counties Served: Serving Oceanside and surrounding areas. Company Expertise: Installation of Pavers, Retaining Walls, Hardscapes and Landscaping. Counties Served: Greater San Diego and surrounidng areas. Counties Served: Greater Oceanside and surrounding areas. Counties Served: Greater Orange and surrounding areas. Sea Breeze Landscaping is a full service licensed Landscape Company with over 25 years experience. Our specialty is custom residential design- providing our customers with a wide range of products and services. Every project we build is custom to the home�s design and the homeowner�s personality. Counties Served: Greater Orinda and surrounding areas. Counties Served: Greater Oriinda and surrounding areas. Counties Served: Greater Perris and surrounding areas. J & Bros General Construction, Inc. provides professional design, installation, and maintenance of all phases of landscaping, irrigation, lighting, pavers, walls, ponds, waterfalls, fountains, and outdoor fireplaces and kitchens. J & Bros General Construction, Inc. is at the forefront of paving stone installation. We enjoy what we do, are constantly striving for excellence and warranty our work from the ground up. Counties Served: Greater Petaluma and surrounding areas. Our company is the most reliable landscaping service in the area. With over 15 years of experience in commercial landscape construction and maintenance we can help you create your dream landscape! We specialize in a broad range of landscaping techniques and work hand-in-hand with a team of architects and horticulturalists to bring you a well-rounded approach. Company Expertise: We specialize in all phases of brick and interlocking concrete pavers design and installation for any residential or commercial exterior application. Brasmerica installs a wide range of architectural and ornamental products, retaining walls, and interlocking pavers. We create personal getaways, private sanctuaries, and secret havens by blending shapes, textures, and colors to inspire your personal desires. Counties Served: Greater Pittsburg and surrounding areas. At Mosqueda Landscape we are a full service landscape contractor company. we specialize in the design, installation and maintenance of landscaping, irrigation and drainage. Counties Served: Greater Pleasant Hill and surrounding areas. Company Expertise: Lowest prices best quality, driveways, pool decks, steps, entries, walkways patios and fire pits. Design and installation of interlocking concrete paving stones. Counties Served: Greater Rancho Cucamonga and surrounding areas. Company Expertise: Landscape, Hardscape Installations, Interlocking concrete pavers, Paving stones, Walls, Stone work, Out door kitchens BBQ, and Concrete cement work. Counties Served: Greater Richmond and surrounding areas. Santos Pavers provides professional stone designs for driveway pavers, patio pavers, pool deck pavers, walkway pavers, retaining walls and more in the Bay area. The pavers systems come with a lifetime guarantee against cracking or breaking. Santos Pavers has been installing pavers systems right here in Bay area. Call us today for a free consultation and let one of our experienced designers ahow you how pavers can enhance the beauty of your home in the Bay area. We are an enterprise of Santos Engineering Group and have been working in the Bay area over the past 8 years. Counties Served: Greater Riverside and surrounding areas. G. AND J. LANDSCAPE MAINTENANCE INC.
Company Expertise: Lnadscape and Hardscape Installations. Counties Served: Greater Roseville and surrounding areas. Chances are you plan to enjoy your home for a long time. If not, you want the highest return on the improvements you make. In either case, engineered pavers and interlocking retaining walls provide unmatched elegance, drainage, durability and appeal. For over 20 years, the certified landscape and outdoor masonry experts at Paradise Backyards have set the standard for guaranteed custom hardscape and plantings in Placer County. Counties Served: Greater Carmichael and surrounding areas. Counties Served: Greater Salinas and surrounding areas. Hill Construction Co is a family owned, trusted local contractor, since 1979. Three local offices to serve you: San Carlos, San Raphael, Seaside, CA. Over 175 impressive paver installations and references in your area! With 8 local manufacturers of paving stones and over 60 different types of pavers to choose from (plus color blend and patterns choices that must be considered)... Hill Construction Co has perfected a system to quickly help you find the perfect stone and design for your taste and budget. Call us for a �free�, no obligation consultation. We offer superior design, construction methods, recommendations, installation quality and exemplary customer service. Our goal is to "transform" your home - in just a few days - with a gorgeous paver driveway/patio, artificial grass, or outdoor living space (with a fireplace, fire pit, sitting walls, barbecue, water features, lighting) that will significantly enhance the beauty, curb-appeal, livability, and value of your home! Hill Construction Co. is at the forefront of paving stone installation. We enjoy what we do, are constantly striving for excellence and warranty our work from the ground up. Counties Served: Greater San Clemente and surrounding areas. Counties Served: Greater San Diego and surrounding areas. Counties Served: Greater San Dimas and surrounding areas. Counties Served: Greater San Francisco and surrounding areas. Counties Served: Greater San Jose and surrounding areas. As a firm committed to the successful landscape management of your property, Integrity Landscape Services, Inc. works hard to fully satisfy our client's needs. While maintaining landscapes for many years, we have been providing quality results on projects of all sizes. For us, integrity is more than our name! It's the standard and principles by which we do business! Counties Served: Greater San Lorenzo and surrounding areas. Diamond Paving Systems, Inc. provides professional design, installation,and maintenance of all phases of landscaping, irrigation, lighting, pavers, walls, ponds, waterfalls, fountains, and outdoor fireplaces and kitchens. Diamond Paving Systems, Inc. is at the forefront of paving stone installation. We enjoy what we do, are constantly striving for excellence and warranty our work from the ground up. Counties Served: Greater San Marcos and surrounding areas. Counties Served: Greater San Martin and surrounding areas. We at Outscape Concrete & Landscape have been operating and serving the entire Bay area since 2007. We are a company operated by the owner. Our team of highly trained landscape contractors has all the experience, knowledge and craftsmanship necessary to provide you with stunning outdoor living spaces. Whether you want to install a new paver patio, driveway, walkways or an outdoor kitchen; we are the right company for the job. We offer our clients professional landscape design services so that you get the most out of your property and your budget! Counties Served: Greater San Pedro and surrounding areas. Counties Served: Greater Santa Ana and surrounding areas. OC Artistic Landscape is a full landscape construction company, primarily servicing Orange County and occasionally the surrounding communities. We mainly do residential projects, but we are open to doing commercial jobs. We do small and large projects, whether you have architectural plans that involve landscaping the entire house or should you only need installation for a particular thing. If you don�t have a blue print design, we can design one for you or we can give you some rough ideas to landscape or relandscape your home. Counties Served: Serving the greater Orange County areas. Company Expertise: PaveScapes fills the void for homeowners who are looking to revamp their existing cracked or unsightly concrete driveways, pool decks, patios, walkways, planter walls and more, without the tremendous expense of concrete removal the existing concrete. PaveScapes is Southern California�s premier installer of the one inch thin pavers, travertine, and natural stone. What make our system so unique from others is our dry mix setting product. This product allows our pavers to cure and bond over your existing concrete surface. Our overlay system provides an economical and eco-friendly alternative for your cracked or unsightly concrete by eliminating high demolition costs. Counties Served: Greater Santa Cruz and surrounding areas. Counties Served: Greater Santa Paula and surrounding areas. Counties Served: Greater Santa Rosa and surrounding areas. Seescape Landscaping provides professional design, installation, and maintenance of all phases of landscaping, irrigation, lighting, pavers, walls, ponds, waterfalls, fountains, and outdoor fireplaces and kitchens. Seescape Landscaping is at the forefront of paving stone installation. We enjoy what we do, are constantly striving for excellence and warranty our work from the ground up. Counties Served: Greater Santee and surrounding areas. Counties Served: Greater Sebastopol and surrounding areas. Counties Served: Greater Sierra Madre and surrounding regions. Counties Served: Greater Simi Valley and surrounding areas. Company Expertise: Design and installation of unique paving stone solutions for driveways, pool decks, walkways, patios and more. SoCal Stoneworks will transform your outdoor living area into a paradise that accommodates the Southern California lifestyle. When you need help at home, come to your neighbor. SoCal Stoneworks. Counties Served: Greater Stockton and surrounding areas. Counties Served: Los Angeles, Orange and Ventura Counties. Company Expertise: Paving stones design and installation. Go Pavers is a full service general contractor for the past 20 years. We specializes in paving stones design and installation. 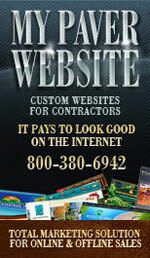 We are the one and only source you need for your design and construction projects. Because we maintain a close and highly reputable relationship with all the major paver manufactures, therefore we can offer our customers a variety of products at very competitive prices. Our goal is excellence in performance and customer service, that�s why we don�t employee any sales people, we believe in a personal and close relationships with our customers. Our experienced and ICPI certified project managers will follow you through your project from day one to the completion day. Counties Served: Greater Sunnyvale and surrounding areas. Pacific Coast Pavers takes great pride in our design and instillation of Interlocking Paver Stone Driveways, Walkways, Pool Decks, Patios, Retaining Walls, Outdoor Living and Landscape Lighting. Pacific Coast Pavers prides itself on high-quality craftsmanship, using the highest quality products, and a proven installation process that is guaranteed to all of our customers. Counties Served: Greater Tarzana and surrounding areas. Counties Served: Greater Temecula and surrounding areas. Counties Served: Greater Thousand Oaks and surrounding areas. Counties Served: Serving Thousand Palms and surrounding areas. Counties Served: Greater Torrance and surrounding areas. Swim-rite pools is the answer to your remodeling dreams established in 1993. Swim-rite pools has provided homeowners with outstanding workmanship. We offer complete pool and spa remodeling which includes everything from a simple pool replaster to a complete backyard transformation. We at swim-rite pools strive for excellence. Quailty work at a reasonable price. Our other services includes decking, coping, water features, tile installation, rock formations, paver and retaining wall installations. We can design and install all of your Hardscapes, no matter what the job size. Pool Decks, Driveways and Patios are our specialty. We offer free quotes, with prompt and curtious service. Autherized Calstone, Allan Block and McNear installers. Counties Served: Greater Turlock and surrounding areas. Counties Served: Greater Tustin and surrounding areas. Counties Served: Greater Vacaville and surrounding areas. StreamLine Landscape owner Walter Stream has been landscaping since 1980. Walt managed the landscaping of parks, commercial property and golf courses construction. Walt held the title of Superintendent. In 1996 Walt started StreamLine Landscape in his hometown of Vacaville. He has been lucky enough to have the same crew for the last ten year. StreamLine Landscape is dedicated provides its clients with the best service, experience and passion for the landscaping or paver project. Counties Served: Greater Valley center and surrounding areas. We Build and Design high quality and masterpiece swimming pools and all the hardscaping required for your dream backyard. Some of our trades include: Custom Swimming pool, Custom Spa, Custom Waterfall, Caves, Cultured Stones, Decking, Concrete, Pavers, Stone and Mason Work, BBQ, Outside Fire place, Flagstones, Firepits, Walls, Columns, Drainage, Irrigation, Natural Grass, Patio Covers, Fences, Gates, Flooring, Interior Stone Siding, Arches, Arch Stone Siding. and any other construction work! Company Expertise: Our expert team is ready to handle every detail of your landscape plan. Offering superb design services and quality installation, our professional team is ready to design, install and maintain your entire property. Four Seasons Landscaping provides comprehensive landscaping services for the maintenance of all exterior plant material.Our company specializes in tree trimming, lawn maintenance, and the overall upkeep of landscape and has been providing top quality service since 1986 throughout the State of California . Whether you are the owner or management company of an industrial, commercial or residential property, Four Seasons Landscaping can provide landscape and tree maintenance services to meet all your property needs. Counties Served: Greater Ventura and surrounding areas. Good Earth Landscaping is a Ventura, CA based Landscape Contractor. We have been a consistent provider of professional landscape services in Ventura County since 1974, striving to create a more beautiful Ventura through integrity and commitment. Good Earth Landscaping is a family owned and operated company with over 35 years of experience in the landscape industry. And since its inception, Good Earth Landscaping has grown steadily, earning recognition as one of Ventura County�s premier landscape development providers. Counties Served: Greater Victor and surrounding areas. Counties Served: Greater Visalia and surrounding areas. For three decades, Quality Landscape Construction Inc. has been providing residen-tial and commercial property owners with the finest in landscaping services, from design and installation to regularly scheduled maintenance. With over 30 years of experience, our company has the background, top of the line equipment and highly rained personnel to make your dreams a reality. QLC is a full service landscape firm offering consultation, landscape design, construction, and residential / commercial landscape maintenance. We are experienced in a wide range of tasks from irrigation issues to installation of your entire new landscape project. Counties Served: Greater Walnut Creek and surrounding areas. Atlas Pavers.Co provides full masonry services to homeowners, contractor, property managers,development companies and architects. We offer high quality craftsman-ship with supperior service. Customers appreciate our commitment o excellence and that we're dependable, professional and happy to answer all questions you may have. Our skilled team works hard to give you the look you want, using the selected materials of your choice. Infact, we pride ourselves on helping you create any masonry projectthat's logically fesible (we don't put limits on your creativity). Counties Served: Greater Westlake Village and surrounding areas. Counties Served: Greater West Hills and surrounding areas. Company Expertise: Expert installation of concrete, stone, and clay brick pavers. Complete pressure cleaning and sealing services. JFK Company is an interlocking paver installation company. The company specializes in pavers, but also provides design services, and will also provide traditonal masonry and concrete services. JFK provides completion cleaning, coloring, and repair of all pavement. T&D Construction provides full masonry services to homeowners, contractor, property managers, development companies and architects. We offer high quality craftsman-ship with superior service. Customers appreciate our commitment to excellence and that we're dependable, professional and happy to answer all questions you may have. Our skilled team works hard to give you the look you want, using the selected materials of your choice. In fact, we pride ourselves on helping you create any masonry project that's logically feasible (we don't put limits on your creativity). Counties Served: Greater Whittier and surrounding areas. John L. Bland is a full-service general contractor who is committed to building our client's vision by creating relationships and providing superior quality and services that exceed our client's expectations. Counties Served: Greater Winnetka and surrounding areas. Counties Served: Greater Woodland Hills and surrounding areas. John Bach Universal Group, Inc. Counties Served: Greater Yorba Linda and surrounding areas. Moses & Moses Construction INC.